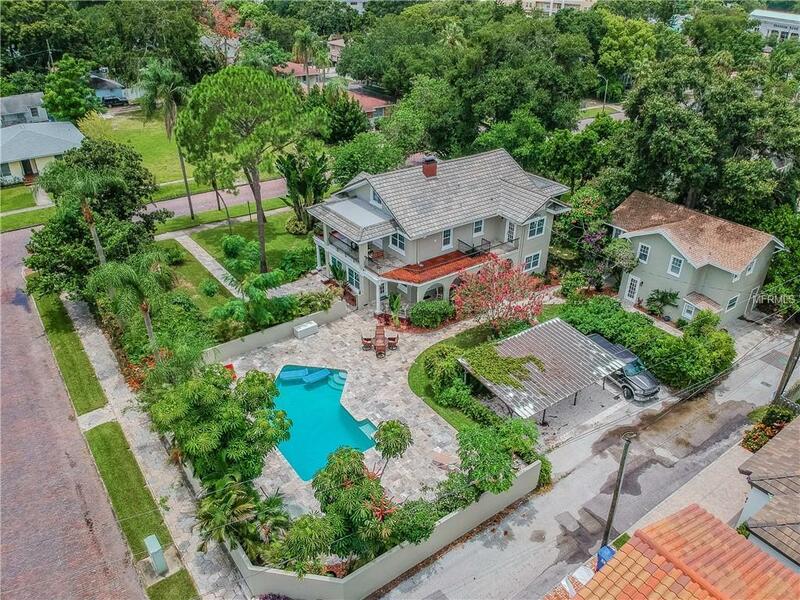 This stunning Colonial style pool home is situated on THREE OVERSIZED LOTS in the sought after Old Northeast neighborhood. 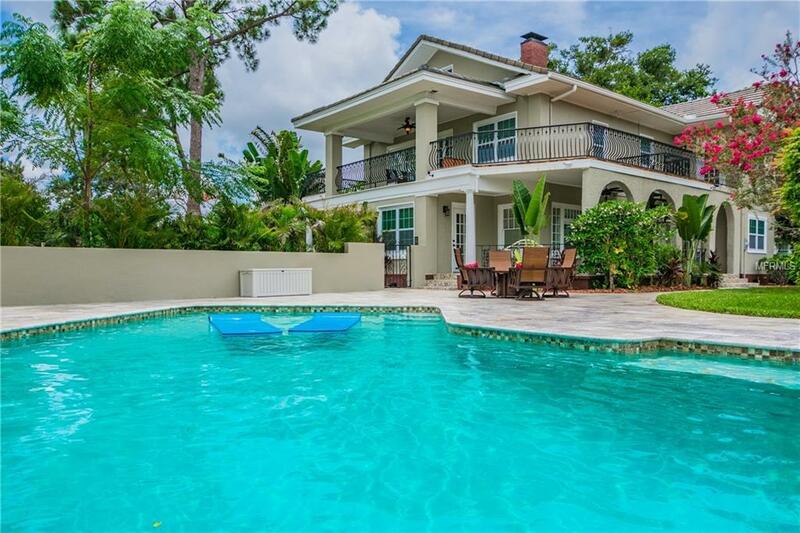 The Vinoy Laughner (founders of St. Peters famous Vinoy Hotel) estate offers a large 6 bedrooms, 5 baths main home and two large mother in-law apartments in backyard cottage with great access to pool area. The main home featured four finished living floors with a large attic/playroom and finished basement/wine cellar. The basement attests to just how high and dry this home is and why the Vinoy family choose this location to build over 100 years ago. Both the main home and backyard cottage have been completely updated and restored to previous glory. 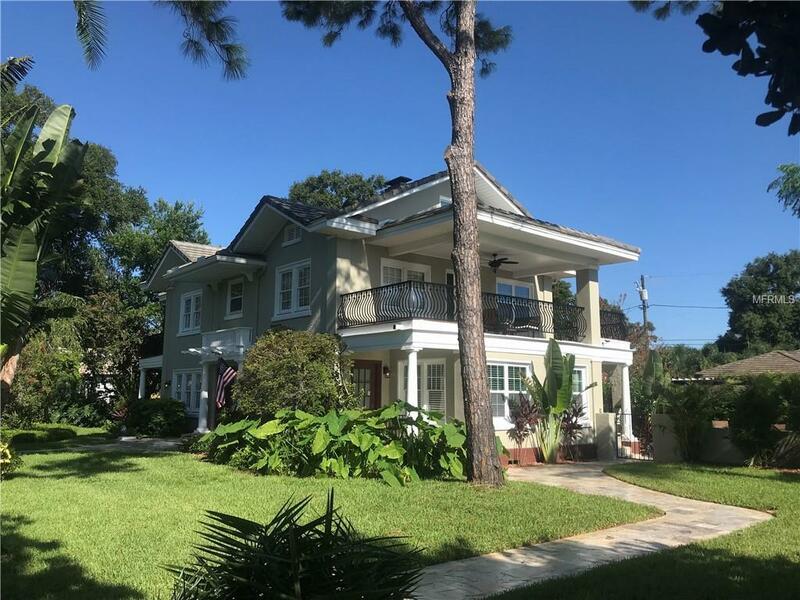 As you enter the home, you will not find a better combination of modern finishes with 1920s elegance featuring high ceilings, crown molding, and refinished heart of pine flooring. All three kitchens feature new solid wood cabinetry, high end stainless steel appliances & marble countertops. The elegant master suite overlooking the pool area, updated master bathroom, & walk-in closet. The additional generously sized bedrooms offer updated en-suite bathroom & balconies with Ipe & Travertine decking. The custom backyard was designed for outdoor entertaining & has a refinished saltwater pool, all new travertine pavers & mature landscaping on deep well irrigation. 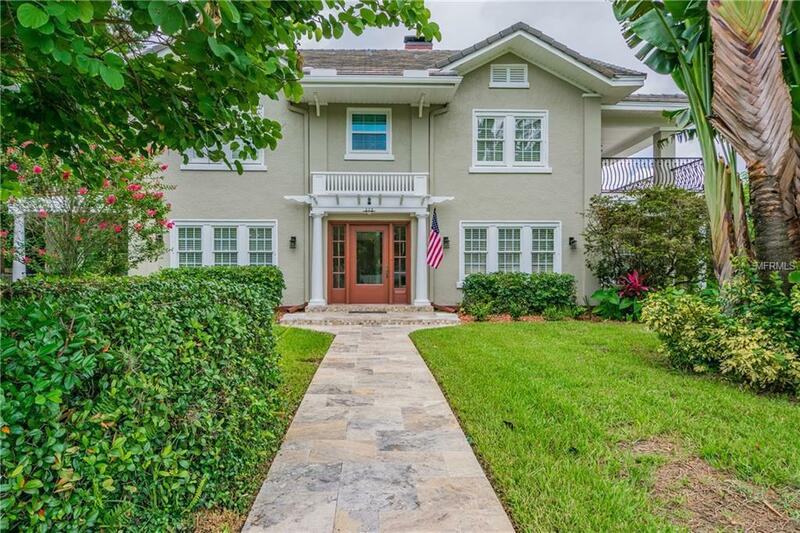 This home is an easy walk or bike ride to Vinoy Waterfront Park & vibrant downtown St Petersburg with fabulous restaurants, museums, & shopping. Buyer to verify all square footage.